I always receive excellent service at The Avenue. They cater for your every need in creating the perfect look for you . Your hair is styled just as you want it , and they offer all the beauty treatments you require .In one simple statement you can go in and come out looking great from head to toe. Have just returned from my hair appointment with Amy....all I can say is I'm very happy! Made to feel right at home from the minute I walked in, had a great consultation which addressed all of my needs & concerns. Had a lovely shampoo & scalp massage & a fab cut & finish. Will be returning to The Avenue for my next appointment soon - thank you Amy ???? I used the Avenue today for the first time and was really pleased with the qui laity of service and how well my hair looked after. The staff were all very friendly and its was extremely good value. I would definitely recommend them. I have been a client of Charlie's for 18 months now, I am so happy to have at last found a hairdresser that I trust and who works wonders with my hair!!! The colour always lasts really well and I get loads of comments about it from my friend. All the staff at the Avenue are really friendly it's a fab salon ????!! I found the salon following a bad colour experience elsewhere. They sorted out my damaged hair within the first visit and the advice and ro ducts are second to none. Victoria colours and cuts my hair, I'm thrilled with the service and care she takes. I also have regular facials and skin are advice fom Hannah, again the service is exceptional. It's a real treat to visit the avenue. This is the best hairdresses I've been too. All staff are really friendly and always leave with great looking hair . After my first visit to the salon today I can honestly say I have received an excellent service. Right from the start Amy was attentive, honest, down to earth and very knowledgeable. She made me feel relaxed with a head massage and her product knowledge was amazing, you can definitely see Amy's passion and she deserves to go far. I wish her all the success in the world and I will definitely return. The salon that truly cares about healthy hair! Thoroughly enjoyed my visit to The Avenue and I am very impressed with the haircut! I had Briony, who was very friendly and professional. I would recommend The Avenue to anyone who wants a great haircut at an affordable price! I go to Charlie, she's a consultant at The Avenue and I have coarse Afro hair. Not many stylist are able to cut my hair how I like it but Charlie is brilliant. She's attentive and always listens and gives me advise. The Avenur advised me to use Lanza Hair products and my hair has never been in such good condition. The salon is beautifully presented, the customer service is second to none and all the staff are polite and inviting with no pretentiousness like other city centre salons in Sheffield. I wouldn't go anywhere else. By far the best salon in Sheffield. Well it's got to be said, for me the Avenue is by far one of the best city centre Salon around. The customer service here is amazing, the staff actually listen to you and you leave with the cut you went in looking for. I've been going for around 3 years, and to be honest I won't change now, I can't be doing with the other salons in the city looking down their nose on people. The stylist I use here is Victoria, and she really is fabulous, her customer skills are out of this world, she is so respectful to me as a client and anyone else that walks through the door from what I can see when getting a cut. 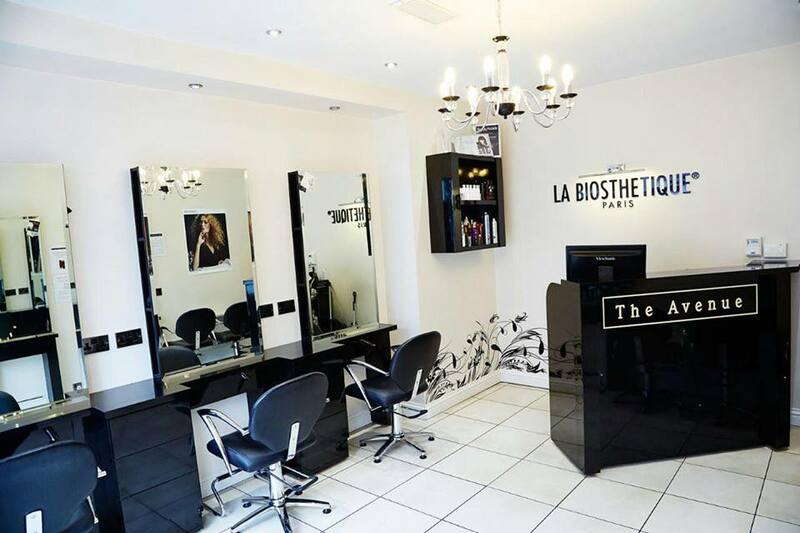 The salon is small in size compared to other salons, but the team make up for that in the energy and passion. If you haven't booked here before, then I say get booked in!!! I have been going to the avenue for about 5 years now and will never go anywhere else. The staff are fantastic and the customer service is second to none. I've tried countless salons in Sheffield over the years and this is by far the best in my opinion.